The Ducati Riding Experience (DRE) features an array of courses, rides and experiences for Ducati owners to enjoy their machines in controlled environments and with fellow enthusiasts. 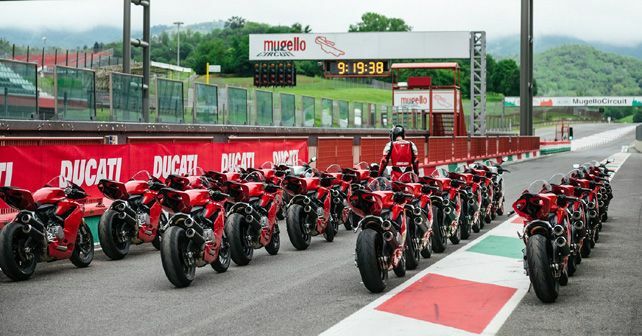 The Ducati Riding Academy has opened its doors for fresh enrolments and for 2019, Ducati has also introduced a new course in the form of the DRE (Ducati Riding Experience) Road Academy. The new DRE course is designed to let riders take control of a built-in-Bologna Ducati and has been designed for those who wish to improve their skills in terms of safety and performance. While the course is available for both novice and experienced riders, in either case, the riders will be assisted by riders and instructors from the DRE Academy. Apart from the Road Academy, the riding academy also offers other courses like the DRE Racetrack, which provides training on the Modena racetrack with motorcycles from Ducati's Superbike range. For off-road junkies, the DRE Enduro Academy is all about learning off-road tricks and techniques on the Multistrada 1260 Enduro and the Multistrada 950. In 2018, Ducati brought along the DRE to India as well, with numerous events like the prestigious DRE Dream Tour and the DRE Off-Road days which received an overwhelming response from Ducati owners in the country. Recently, Ducati also announced that it will be bringing its DRE Racetrack Training Program to India as well, which will be helmed by Mr Gurvinder Singh and Mr Anand Dharmaraj. Both these racing veterans and instructors were recently certified as DRE Racetrack Instructors at an event in Thailand. Further, Ducati has announced the next DRE Dream Tour, which will see the participants riding through the Konkan Coast and it will take place from 17th to 21st April 2019. The year's first Dream Tour, the Royal Rajasthan Ride, took place from 1st to 5th February 2019.